The Tri-Mesa Dining Table offers a stunning addition in any modern or traditional dining area, and for good reason. It features a spacious rectangular top of solid walnut that provides plenty of space. 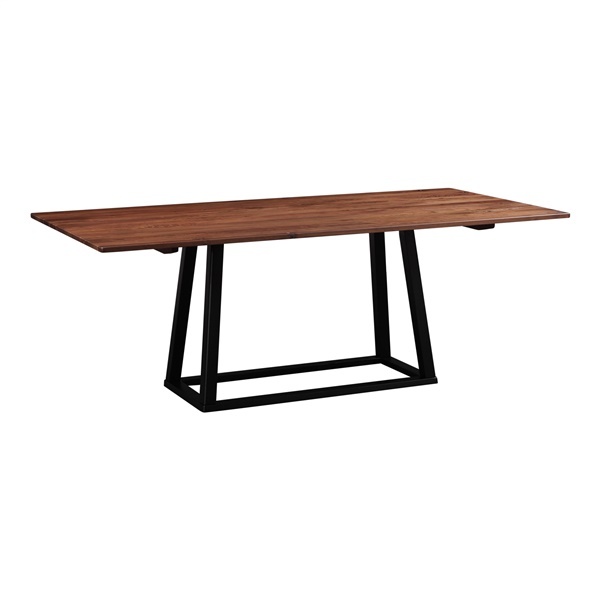 In addition, the dining table boasts a black solid rubberwood base that guarantees long-lasting strength and stability. Select a dining table that will dazzle day after day with the Tri-Mesa Dining Table.